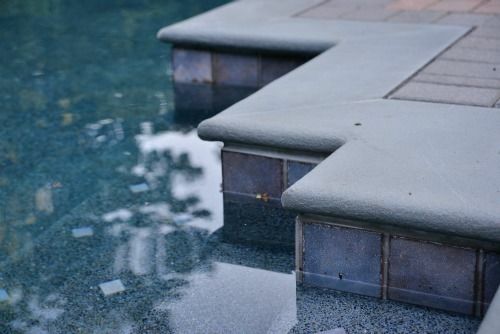 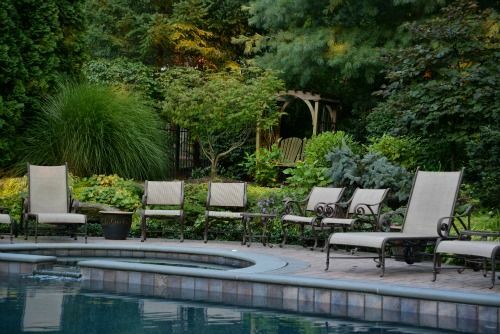 Concrete swimming pool design with a spacious patio space to provide ample seating and relaxation space. 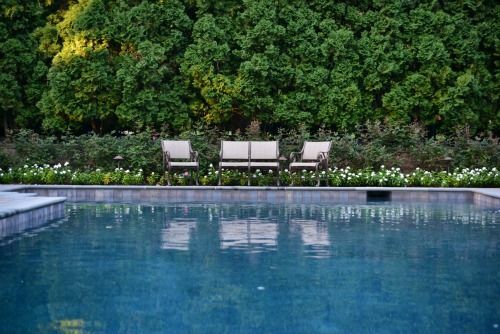 Lush landscapes and gardens surround this swimming pool creating a calming environment. 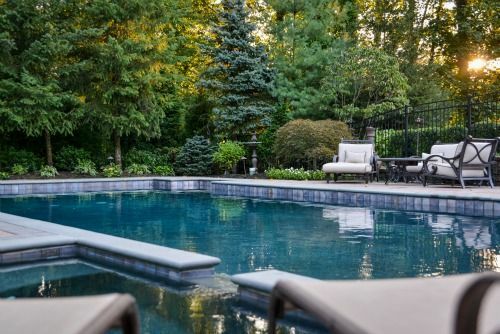 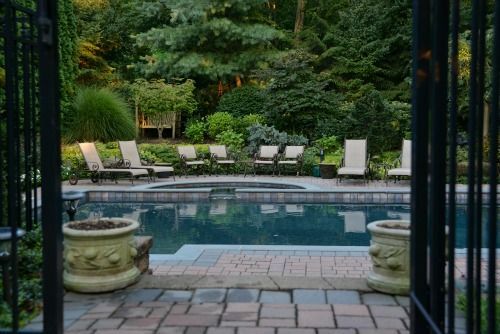 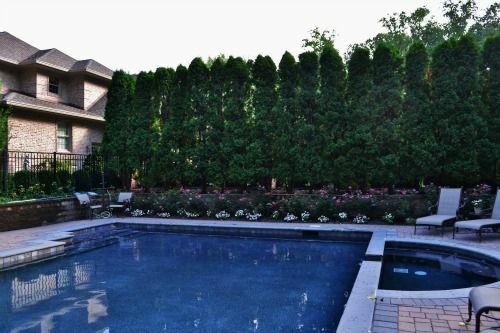 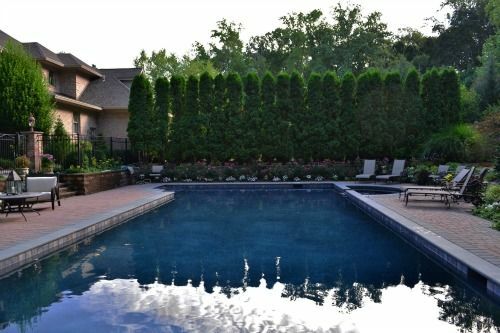 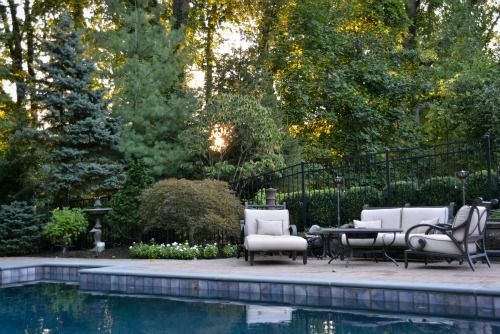 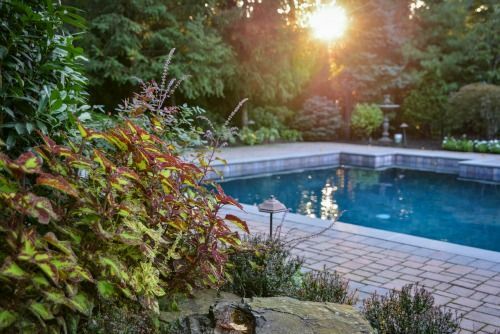 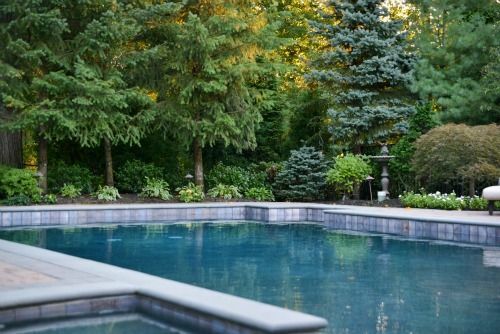 An inground swimming pool, surrounded by lush landscape and colorful flowers provides the perfect tranquil setting in this New Jersey backyard.